OUR job is to provide a great happy hour. YOUR job is to decide what day you want to come in. We want you to have the same great experience watching Monday Night Football as you do catching a basketball or baseball game on Thursday night. Happy hour is from 2:00-6:00pm and 10:00pm-1:00am every day. Panino Brothers is based on a very simple idea: a great atmosphere combined with food you'll love at an affordable price. We are a restaurant, but spend a little time with us and you'll quickly see we're not actually in the "food & beverage" business as our logo may fool you into believing....we're in the fun business. Want a relaxing environment and a great sandwich or burger...we can do that. Has your small group of friends run out of wives willing to host poker night? Come pull a couple of tables together and play cards...we don't mind. 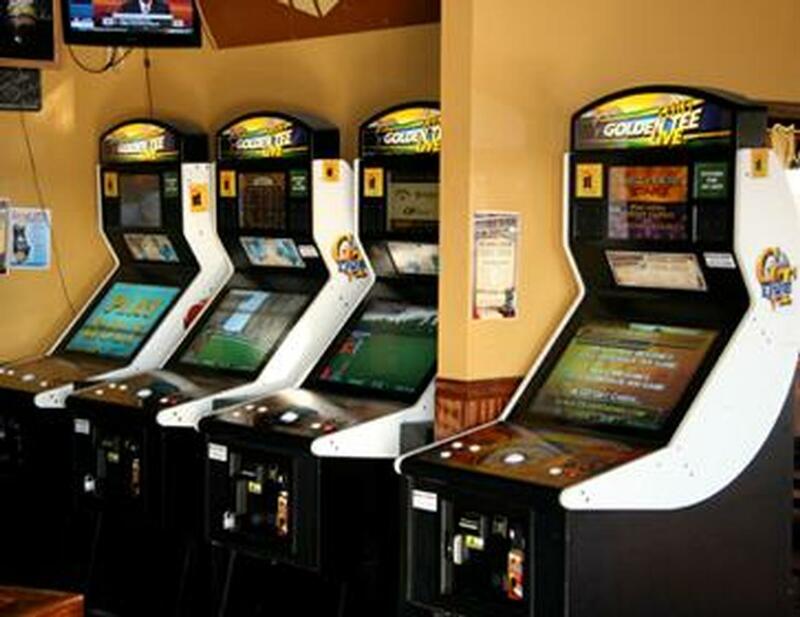 Want to try your luck at pull tabs or compete with some buddies on one of our 5 2012 Golden Tee machines or our many other games? Want to just kick back and watch one of our 16 TVs?